The five sixteen years old musi-cians of Conspóid are all atten-ding Gaelic speaking secondary schools and are in their transition year. In this year the students are expected to avail of as many cultural and educational expe-riences as possible. During this visit we are happy to offer them both. They have played together for the better part of the last decade and are all members of the tradi-tional Irish music movement known as Comhaltas, a national body committed to the develop-ment, excellence and continuity of traditional Irish music. They are accomplished musicians. Individually and as part of a bigger group they have won titles in Dublin, Leinster and nationally and gone on to represent the province at the annual international Fleadh where they won 2nd place in 2014. They regularly play at concerts and festivals in Ireland and have appeared on Irish Radio and Television. They are currently semi finalists of the prestigious all Ireland Siansa Gael competition. In 2014 members of their group recorded A Moment in Time, an initiative of their Comhaltas chapter, Craobh Naithi. Sehen Sie einige schöne und spektakuläre Bilder von unseren Touren in Irland auf unserer neuen Galerie. 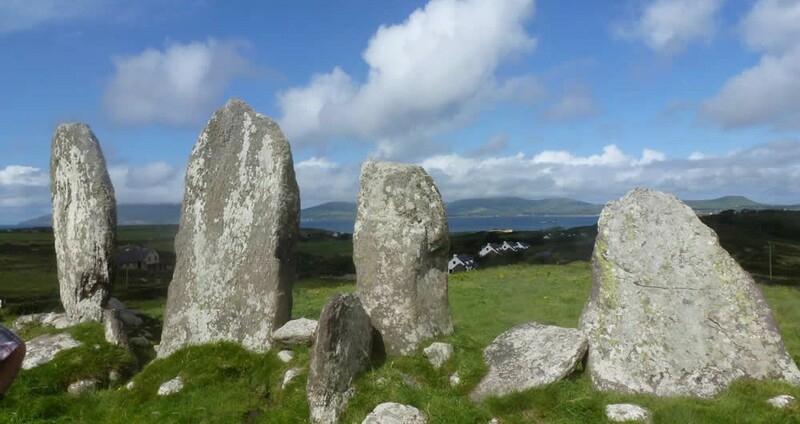 Celtic Spirit bietet einzigartige Irish Kulturreisen durch Erfahrung Spezialisten in der irischen Kultur führen.